Again! Again! Again! 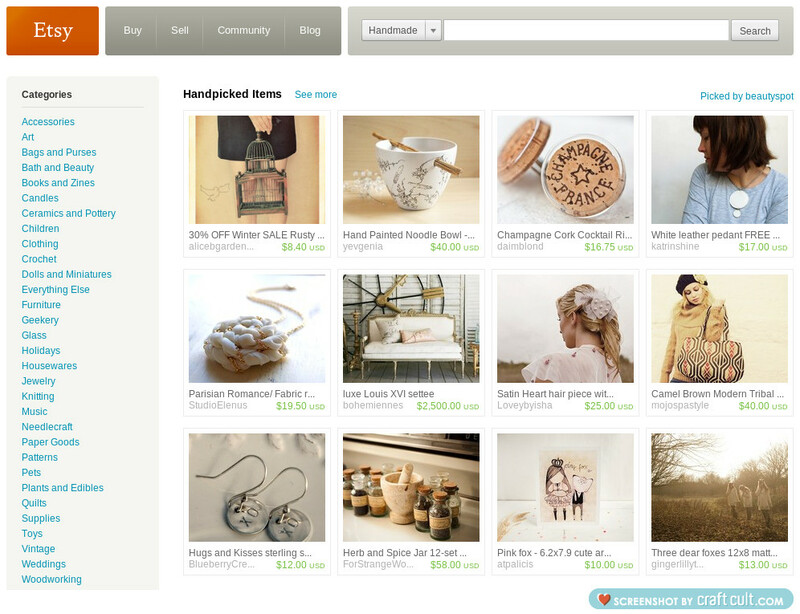 Etsy Front Page! These days I was in Murmansk to visit my friends and relatives. And of course I almost didn't have a time to Etsy :) It was surprise for me when I was featured saturday on Etsy Front Page. But I was more surprised when I returned today in Saint Petersburg. I opened My email and found other notification! 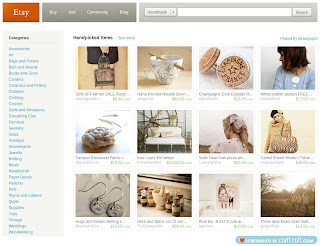 Yestarday evening I was featured again on Etsy Front Page! 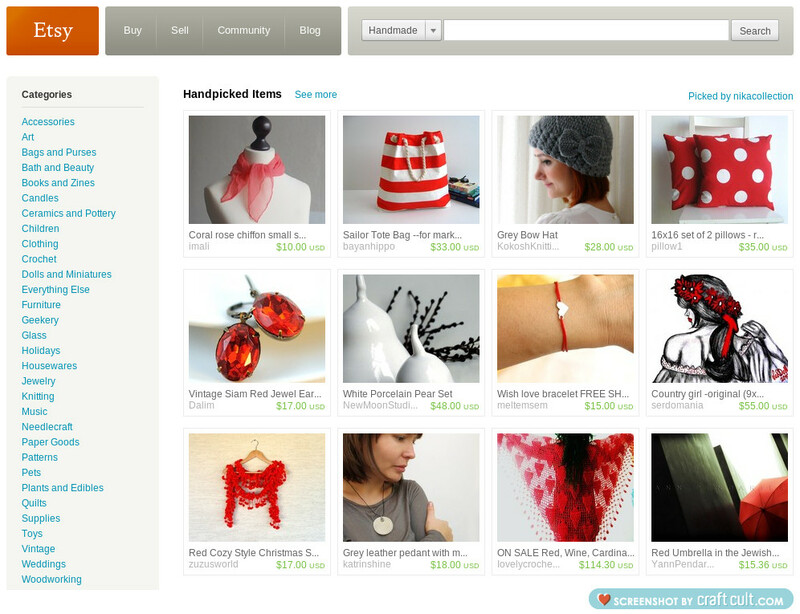 This is amazing treasury collection named "Love! Love! Love!" and as you can understand from the name It's dedicated for love. 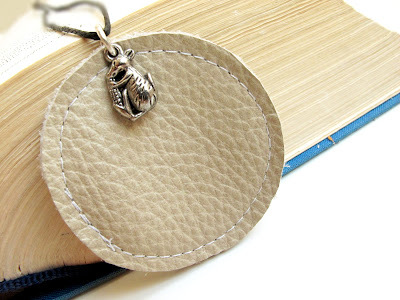 Nikacollection included there my Grey leather pendant with mouse charm from my Katrinshine shop. Thank you nikacollection and congrats other featured. This set can be combined with almost all colors in clothing, as dark as light, It's hot at any time of year. You can see how it fit with white t-shirt. 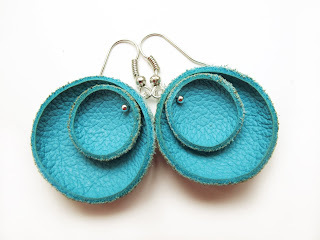 Earrings seem rays that arrived from turquoise summer sky. 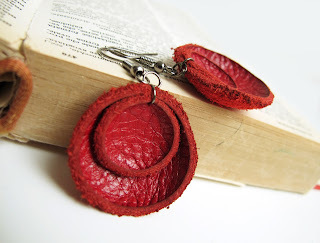 Today My leather pendant was featured on Etsy Front Page! It was very soft and femmine treasury collection "There's still a Light" made by Beautyspot. Polina included my White leather pendant in this beautiful collection in light colors. 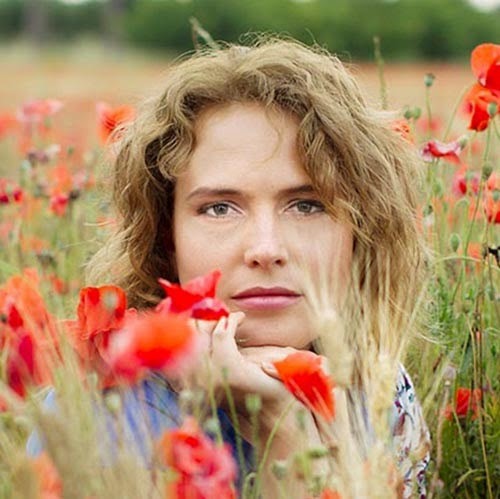 Thank you Polina and congrats other featured! 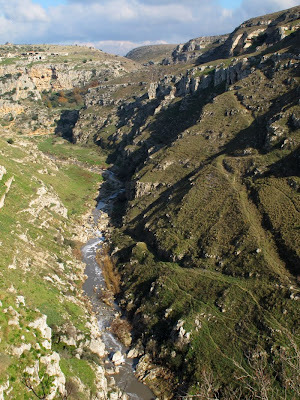 Red also is on the crest of the moda. 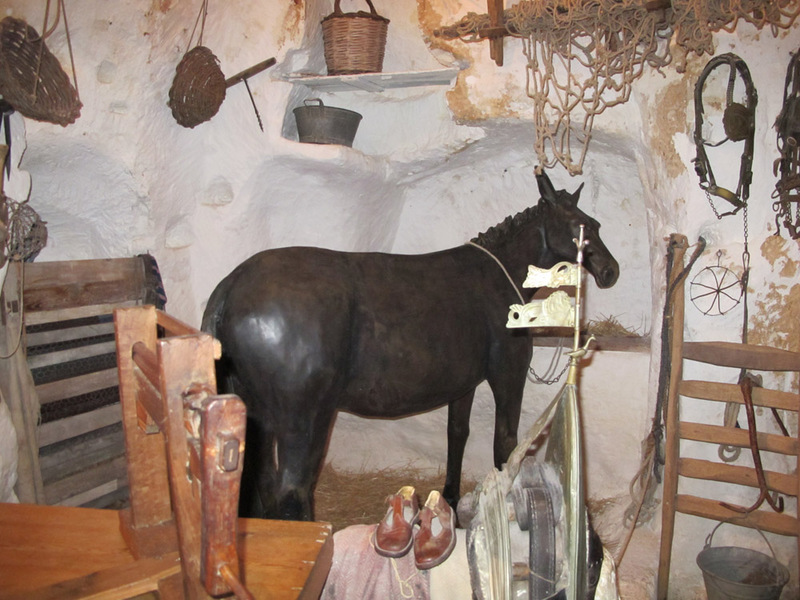 You can see it everywhere - in the collections of clothing and footwear, accessories and interiors. Red - the most dangerous and at the same time the most alluring of all the colors of the rainbow. 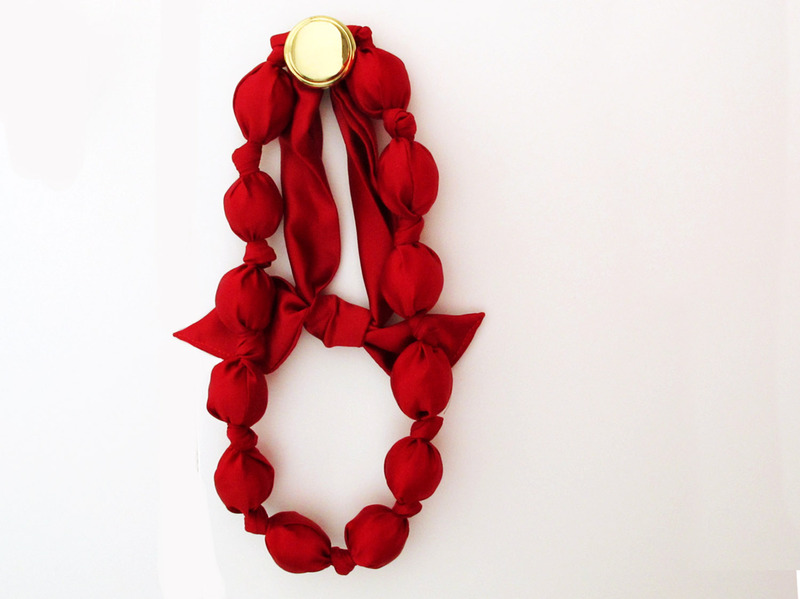 Some days ago I wrote about new Red fabric necklace PASSION. 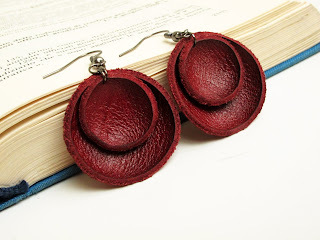 Today I present Red leather earrings and Dark red leather earrings. It will be unique and irrepetible gift! For many time I didn't create new fabric necklaces. 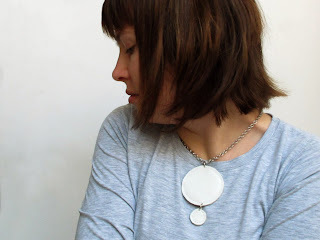 But in the december I bought two new fabrics - grey atlas and red atlas. With one of this I already made the necklace. 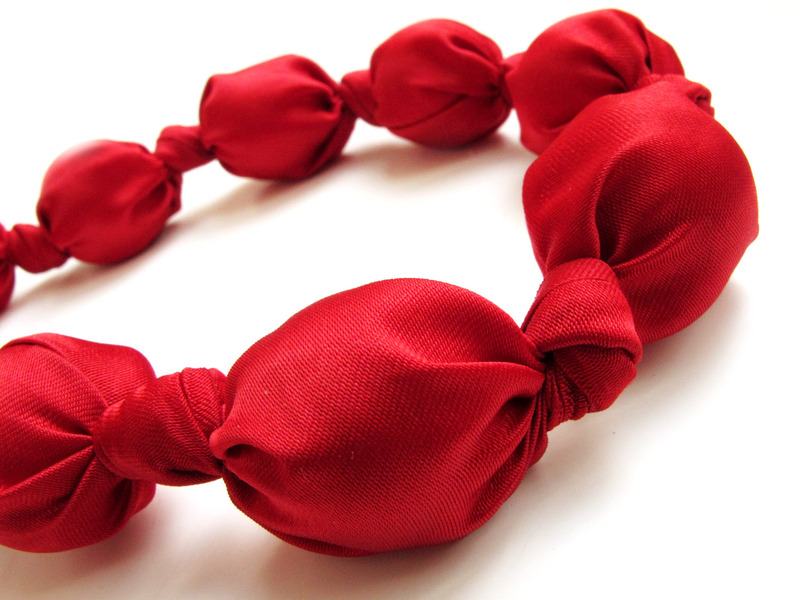 Today I present it for you: Red fabric necklace. 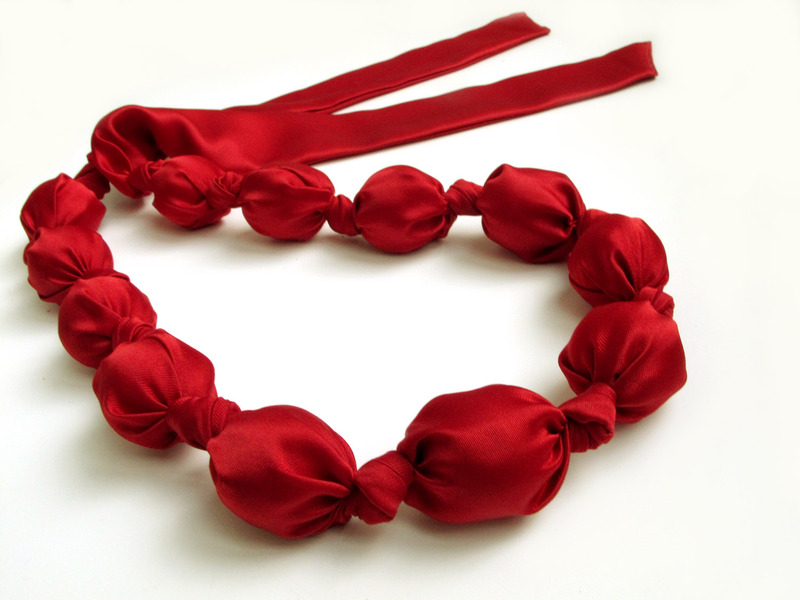 It could be perfect gift for Valentine's day as it's red. Red is the color of passion, love and anger. 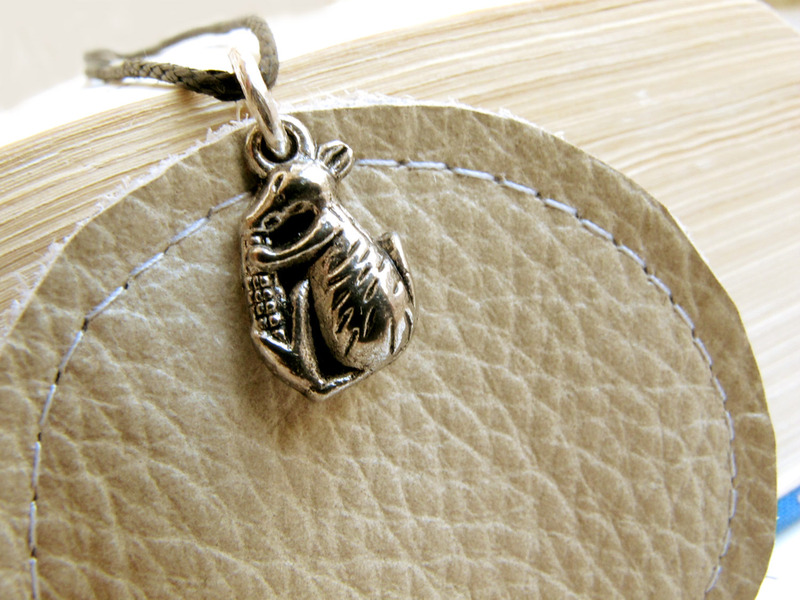 I found this little mouse charm though my supplies. I askes myself - What I can create with this? 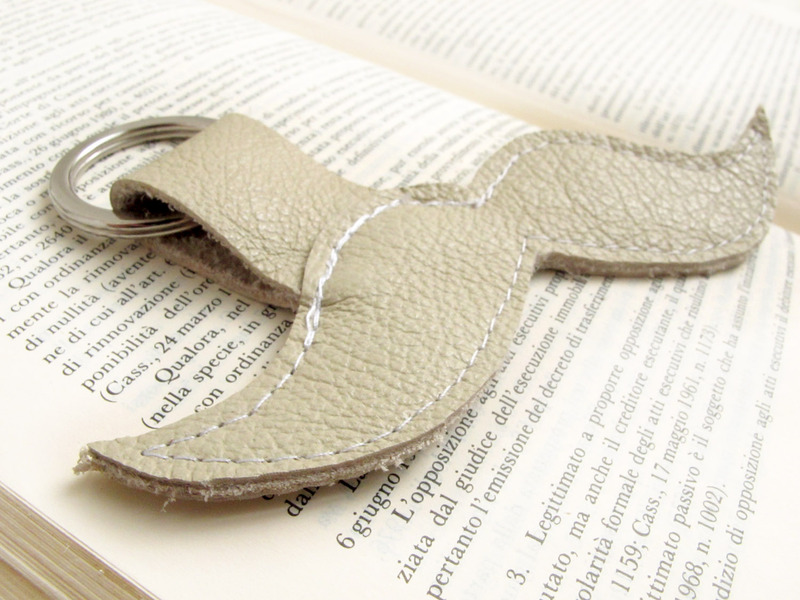 This is result - Grey leather Pendant with mouse charm. It is very simple pendant - only light grey leather circle and mouse charm. Isn't it beautiful and stylish? 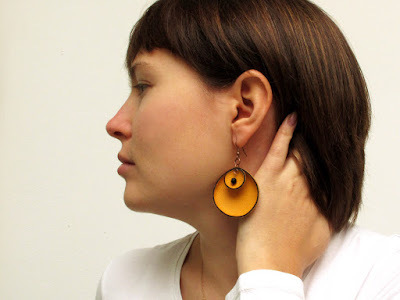 It great to wear with simple blouse or T-shirt, cord or chain. I think It will be perfect addition to casual or urban outfit. This is a new model I created of leather earrings. 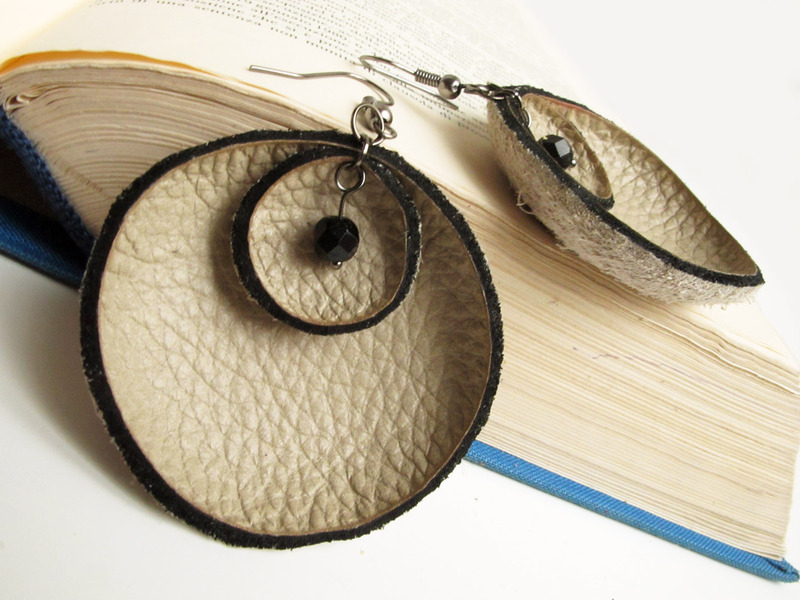 They are a little bigger than before, with black border and a little black charm made from a vintage bead in the center. I made it in two colors: Grey leather earrings and Orange leather earrings. 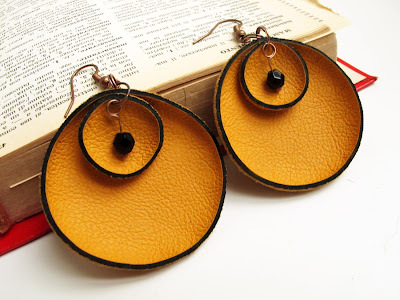 Grey and black, Orange and black - I like this color combinations. These earrings are simple and beautiful and add style to your spring ourfits! Haven't you heard? 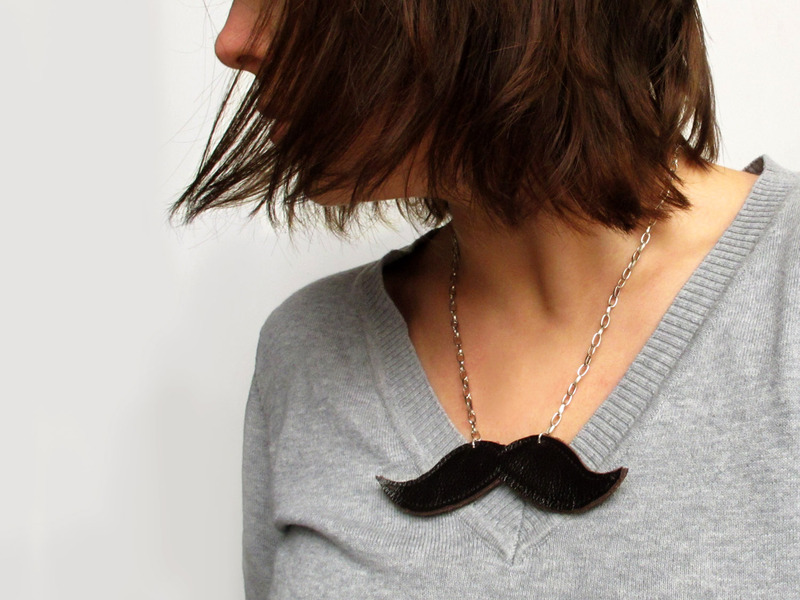 Mustaches are the latest must-have accessory! It comes into a style now. 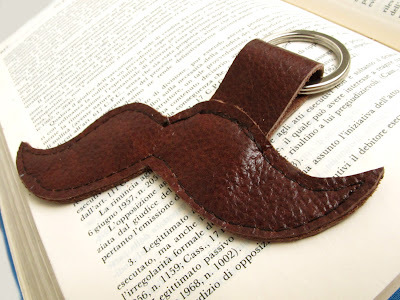 That’s why I present you new leather accessory – Moustache keychain. If you don’t have the moustache – this keychain is for you! It will be the perfect key organizer and will make a unique yet practical gift for any occasion. I made it in two colors: Brown keychain and Ivory keychain. 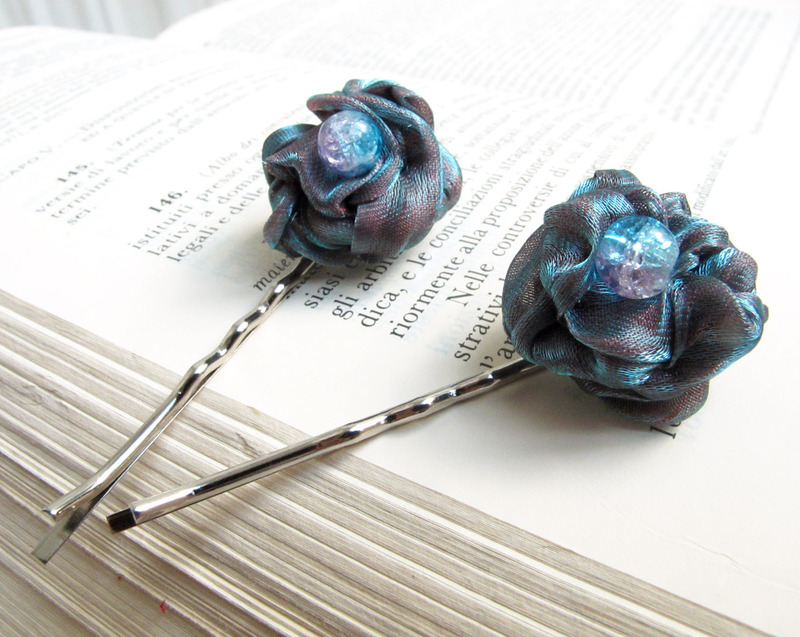 My new creations - Purple and turquoise organza bobby pins and Pink and turquoise organza bobby pins. These bobby pins with organza flowers are the perfect blend of function and fashion. 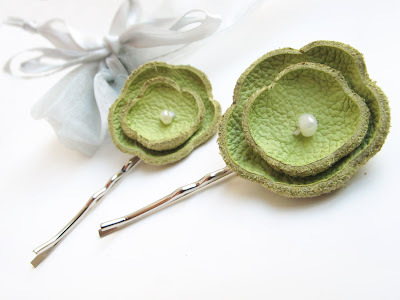 Shimmery shades of organza make these bobby pins fascinating for our daughters. It shines and shimmers, changing color depending on the angle of illumination. These flowers will give a spring mood even in the cold winter. Before there were strict rules of wearing brooch: a large brooch is for clasp the collar, a small brooch was attached in the left ten inches below the shoulder and two inches above the buttons. 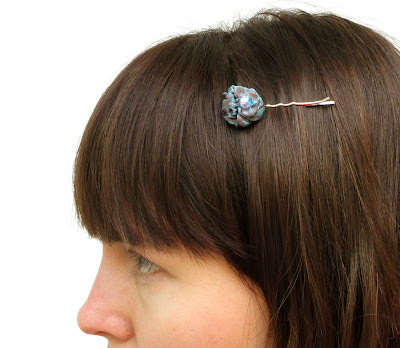 Now we can wear a brooch on the scarf, hat, belt, purse, in your hair, etc. 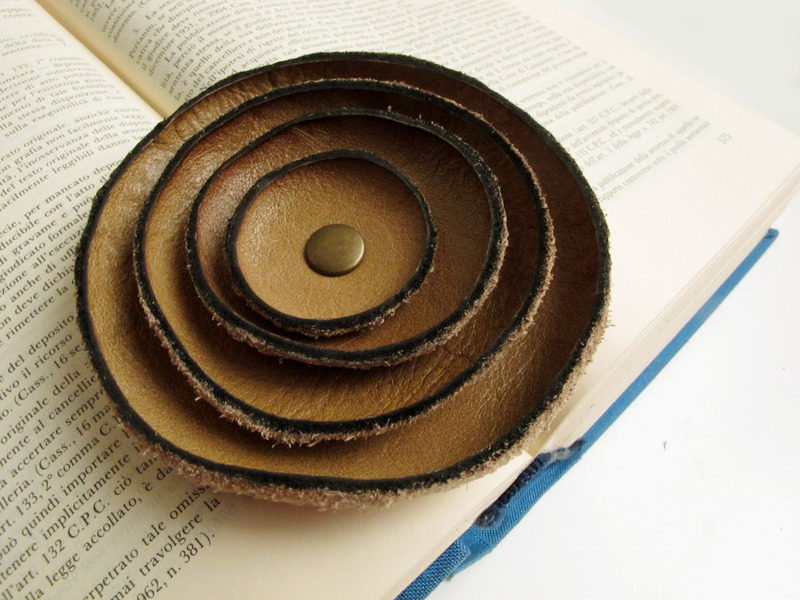 The brooch can be attached not only on the dress or the lapel of the jacket, but also on a sweater, shirt and even on a skirt. 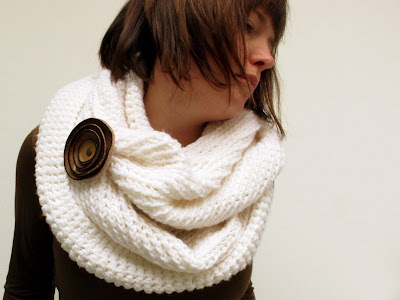 With this accessory you can make perfect accent to any scarve. 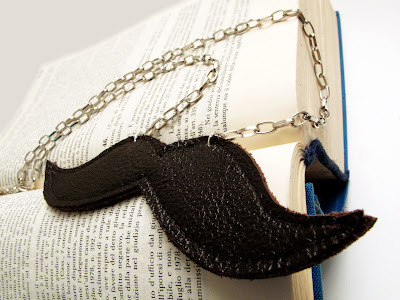 If you do want a moustache, you don't have to grow one, you can simply wear Moustache leather pendant! No need to look to a man for it now! It is just really quirky, cool and looks stylish. 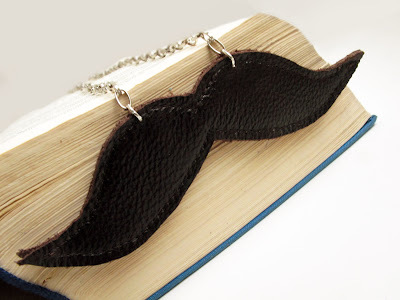 This pendant it's truly fashionable. Finally one of my collage sheets was featured on Etsy Front Page. 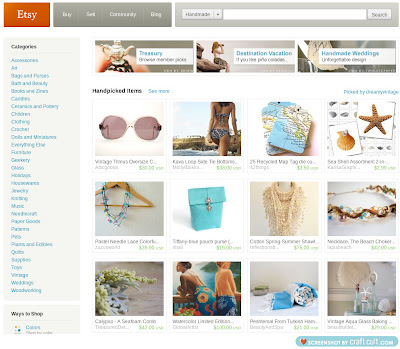 Treasury collection "Getaway... Vacation time" was created by dreamyvintage. 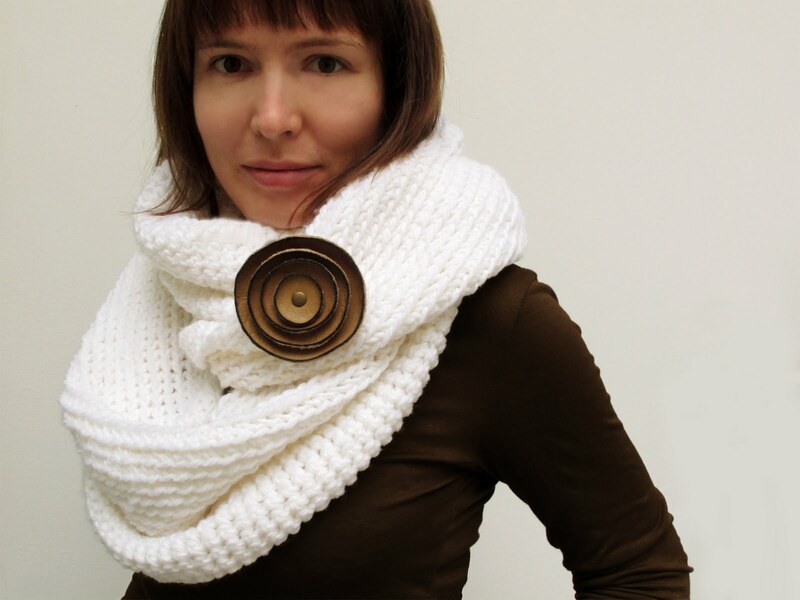 This treasury is amazing collection inspired by winter vacations. 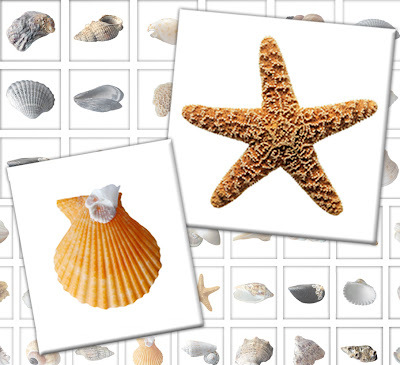 She featured my digital collage sheet with Sea Shells. Thank you dreamyvintage and congrats other featured! 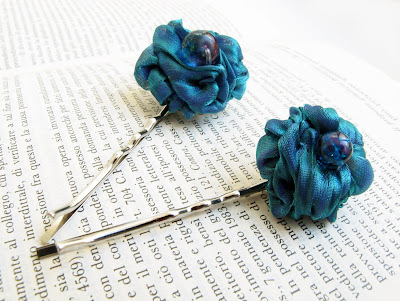 Today I present you new bobby pins with cerise leather flowers, yellow-green flowers and ice blue flowers. 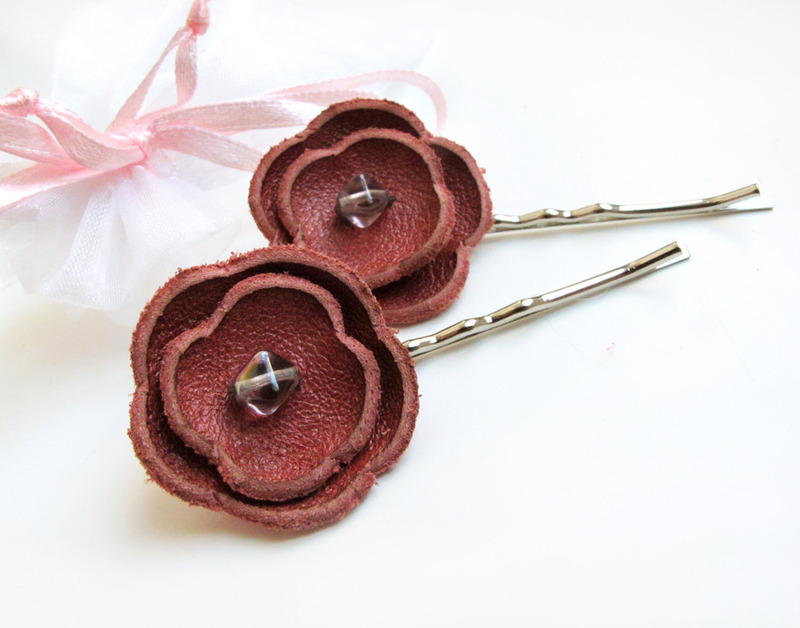 These bobby pins with leather flowers are the perfect blend of function and fashion. 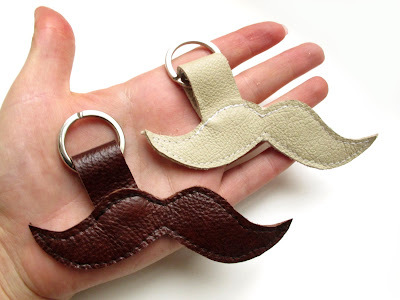 Leather accessories always are very expressive and stylish. 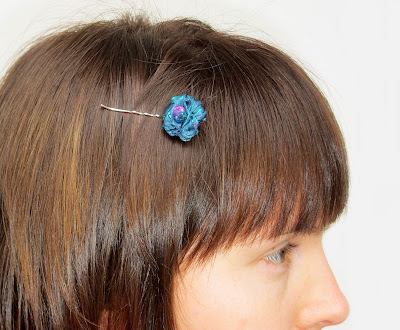 Pair these bobby pins together, or sweep your bangs back with one placed creatively in your hair or your little ones. 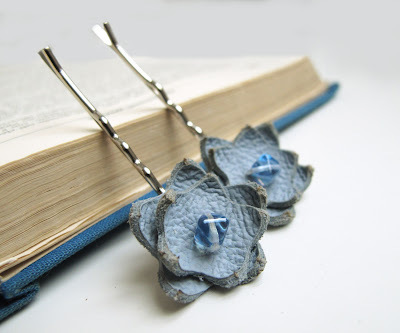 I think these bobby pins are perfect for any occasion, any day, any gal!!! 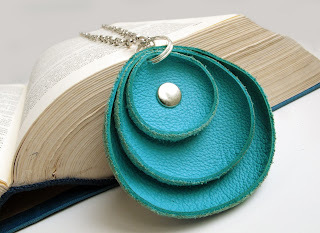 It will be great gift to a daughter! Today I present you Deep red shoe clips. If you have a favorite pair of practical shoes which you annoy almost. Or, this night you want to go to a party, but don’t have a time to go home and change. Or maybe you just have to cut the monthly money for shopping and you do not want someone notice it. In such cases shoe clips come to help you! 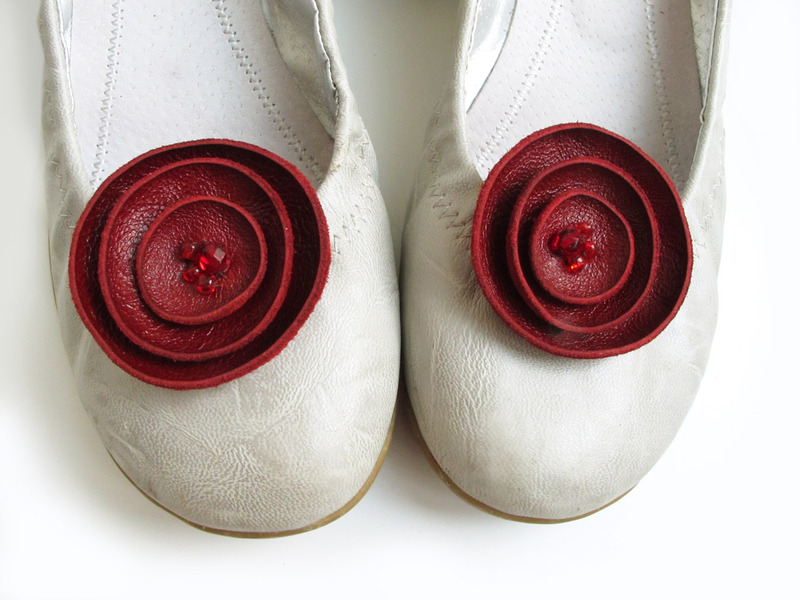 They turn even the usual ballerine into exquisite evening shoes. In the morning after a fun party, you can remove shoe clips, and your casual shoes are with you again! 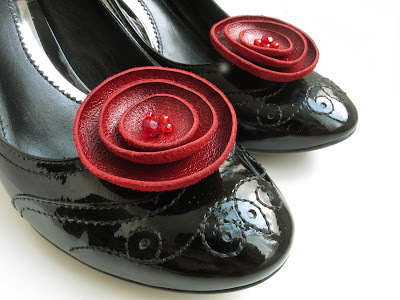 Shoe clips you may wear as a brooch, or as a clothing accessory. 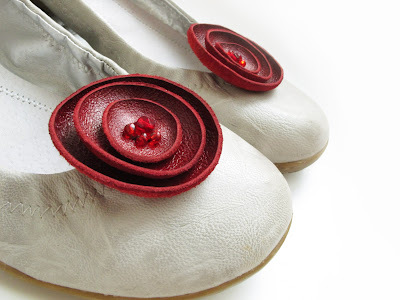 Deep red color goes well not only with the red shoes, but with shoes in shades of gray and black. Today is Sunday, Jan 2, and we didn’t want to stay at home. 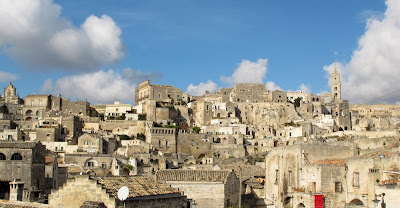 We decided to make a trip to Matera where we've been going to from long time. This town is not big and it’s placed in 150 km from Brindisi in Basilicata region. 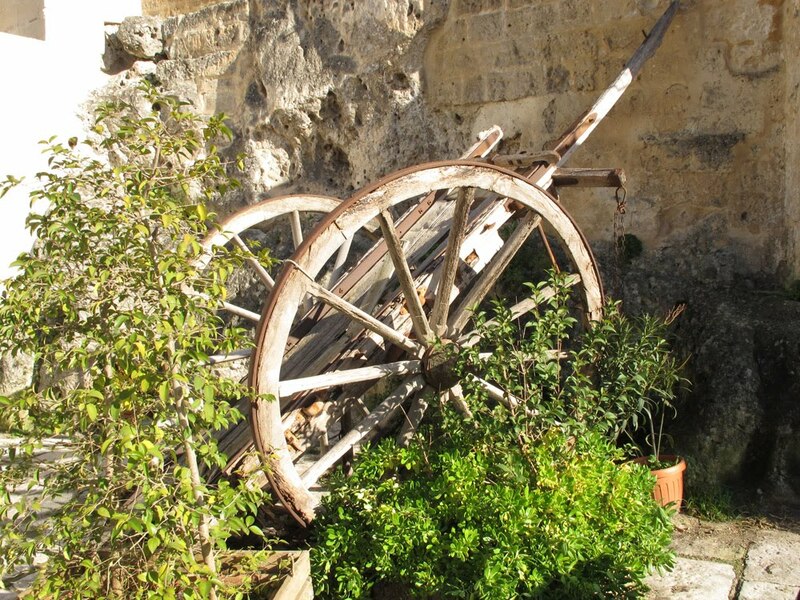 Matera is listed in 1993, in the World Heritage List by UNESCO. 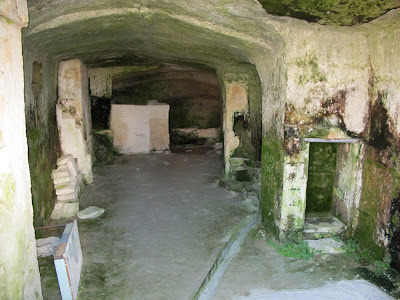 World fame was brought to it’s old house-caves, carved directly into the rocks. 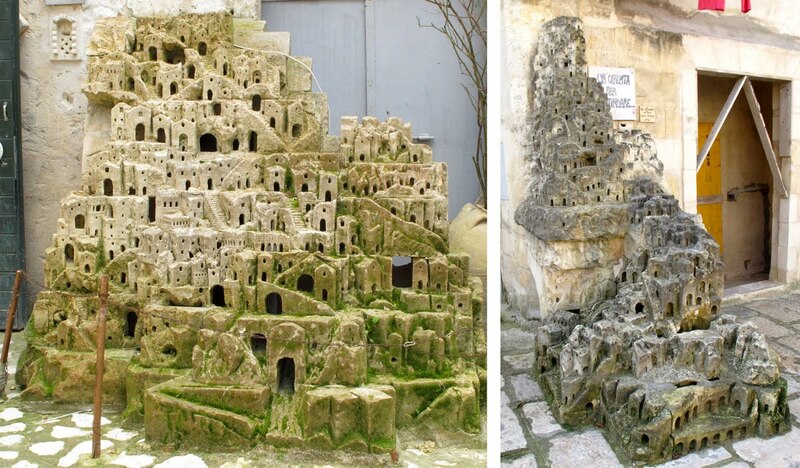 These rock structures are called the Sassi (Stones). The oldest of them have about 7000 years. 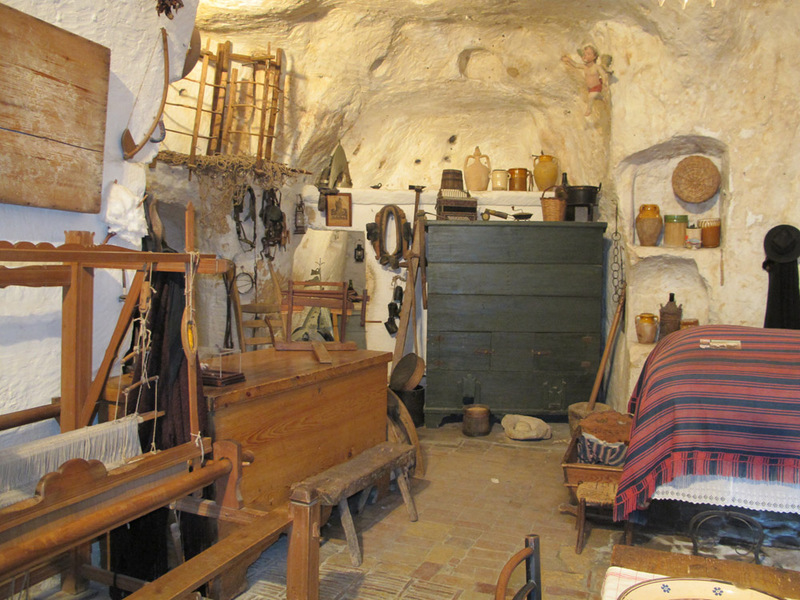 In a new caves there are churches, some of which age date to the VI century. 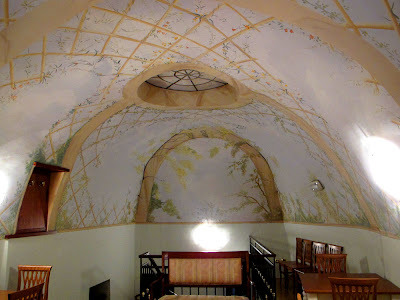 In some churches remained intact frescoes dated to the XI-XII century. 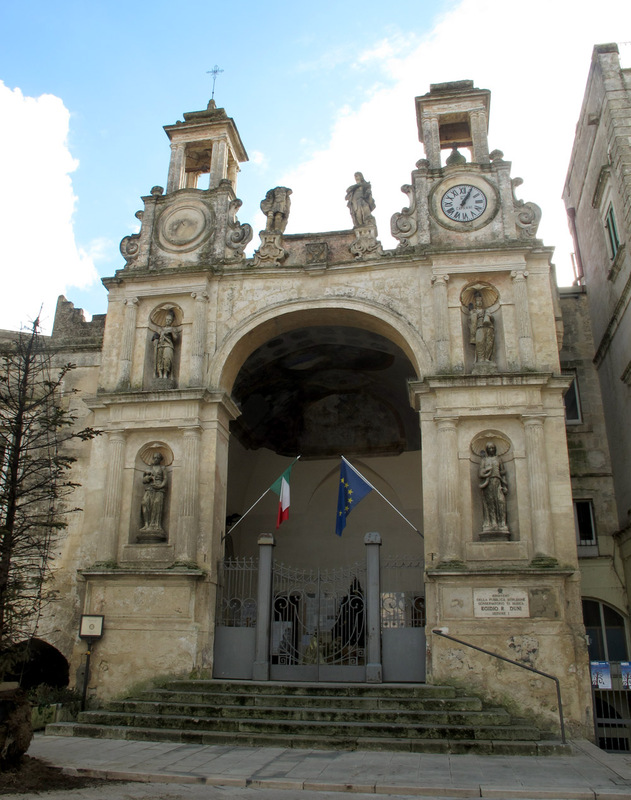 Many famous directors made their films here, including the film of Mel Gibson's "Passion of the Christ". Up to 1950 those caves were habited by people. You will not believe it, but there were lived about 15,000 people, the half of the population of the city! 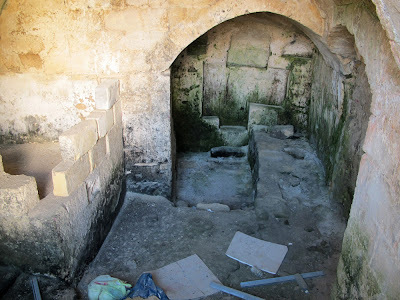 They had no sanitation, and the water was collected in a stone tank during the rain. 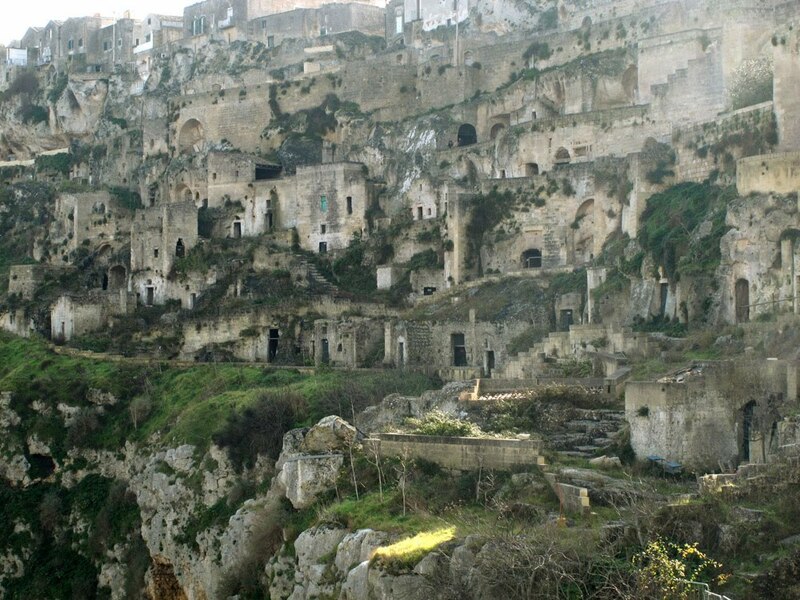 This is view of the most ancient rock caves from the low town. They abandoned long time ago and placed on the other side of river. This house is kept intact as a museum. House partially caveted in the rock, partially built. 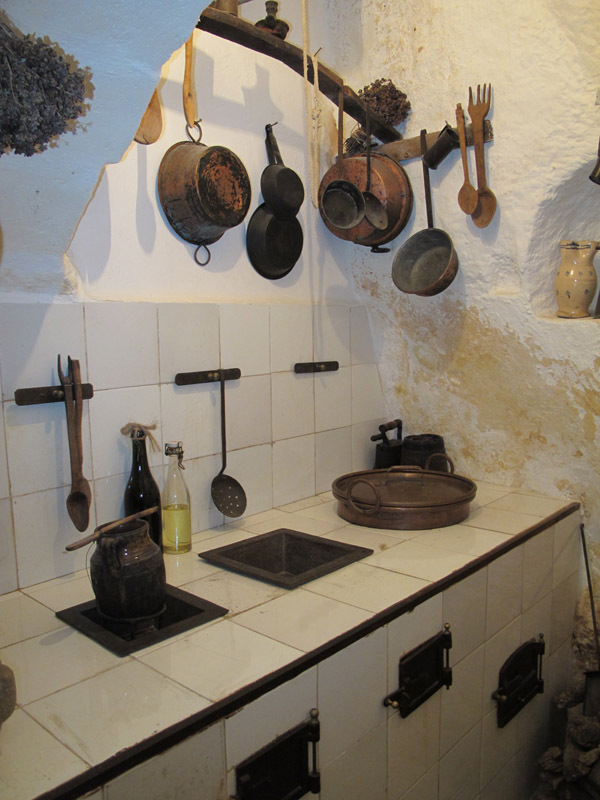 In this small accommodation has lived a family of 11 persons: two adults and 9 children, with all domestic scrap. Animals lived in the same room in the corner. You think, where they all sleept? 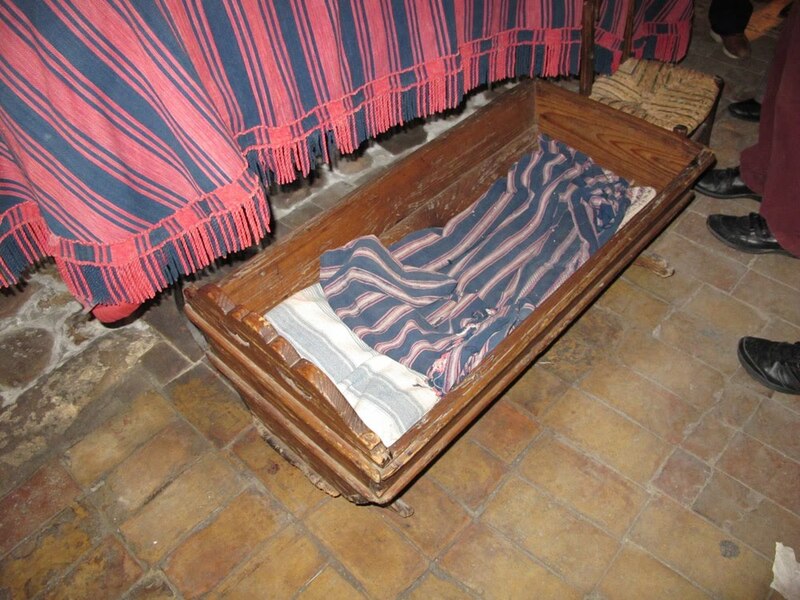 Adults with one/two of smallest children sleept in the bed. 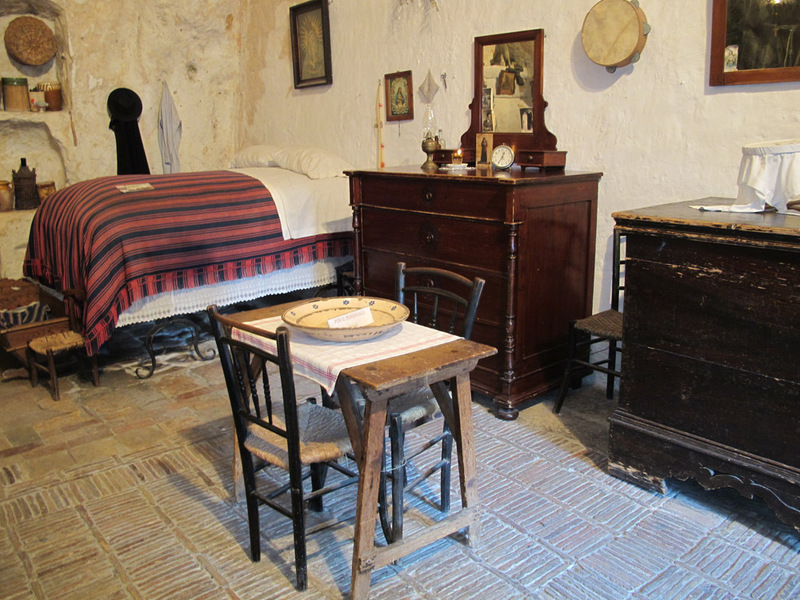 At night, the bottom drawer dresser and a chest for storage of food were turned into beds. We didn’t find agriturismo, but in the neighboring town Altamura we tumble on such a beautiful little restaurant. Many years ago, it was a church. 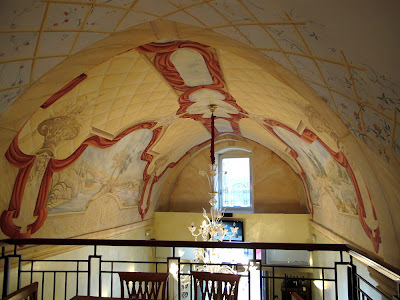 Owner told that it was built in the XV century, but from the original church now you can see only two small frescoes.